One trick that beginning marketers often overlook is blatant theft. Okay, so it’s not really a trick, it’s a marketing tactic, and it’s not really theft, it’s “competitive intelligence.” You’re not doing anything illegal. You’re not stealing trade secrets, you’re not hacking servers, and you’re not phishing employees. No, all you’re doing is monitoring publicly available information about your competitors and putting that information to use in your own marketing. The reason so many beginning marketers fail to utilize this technique is a sort of tunnel vision. When you’re first starting out, it’s all about you. It’s about getting your site set up, getting your social media profiles up and running, and about producing content. If you look at anyone else, it’s in idolization, to see what the industry giants are doing. It’s rare that people think to look at what their peers are doing. This is a mistake. After all, when you look at what your peers are doing, you can get ideas for your own marketing. You can say “hey, they’re targeting X keyword that fits for my business too. I can use that!” You can find and poach their links, you can mimic their successful strategies, and you can avoid following their footsteps into a mistake. Before you can start spying on your competitors, you need to know who they are. The most typical way people discover their competition is to run Google searches for their primary keywords and see what businesses other than their own pop up. However, there are a lot of other steps you can take. Use tools like SpyFu on your site and your competitors that you know about. It will identify keywords they’re targeting with ads, which will help you find other people targeting those same keywords. Plus, who knows; maybe you’ll find some you can use yourself. Investigate industry analysts like Gartner, who report on your industry regularly. Look for brands they mention other than your own. Dig into the likes of people who comment on your Facebook and Twitter pages. You can find other pages they like, and you can find competition they might be following. 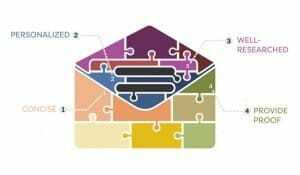 Send out a survey in your newsletter soliciting advice from your followers. Ask them whose service they used before yours, if any. Ask them why they switched. Ask them if any competitor features make them want to switch away from you. This serves double duty by letting you gain new insight in your product as well. Build a list of competitors you can use for future research. 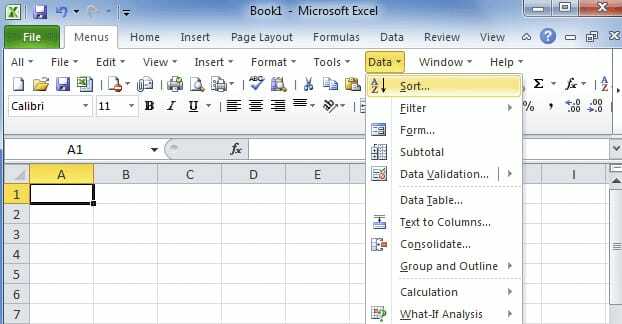 For ease of organization, I like to make a new Excel or Google Sheets document, and make each competitor a tab. You can have one tab at the front for a table of contents, if you have a lot of competition in your niche. The table of contents page also serves to let you collect generic data as well as competitor rankings in one place. In order to use the Ahrefs tool the way we want to, you’re going to need a pro account. If you’re prepared to do all of the work in one quick burst, you might be able to get away with just using a free trial. However, if you want to monitor data on an ongoing basis or come back to this process every few months, you might want to pay for an actual account. It’s less hassle, plus you can use all of their tools for the purposes they’re intended. Which tier of plan you want depends on how many competitors you want to research. You can only crawl up to 25 domains per day with the cheapest plan, with that scaling up to 100, 250, and 1k based on plan size. With the cheapest plan, you’re also limited to 100k backlinks per report, with a maximum of five million per month. Frankly, for most businesses, 25 competitors and 100k backlinks per month is plenty. 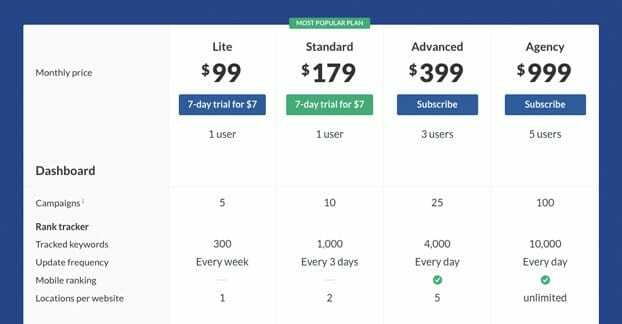 The plan still runs you $99 per month, though it’s cheaper if you want to pay annually, which is entirely up to you. You can read all the details about their plans and pricing here. 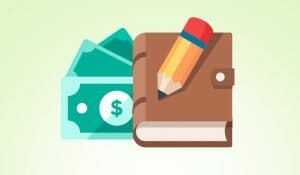 You have Ahrefs bought and paid for, you have your list of competitors, now it’s time to dig into links. 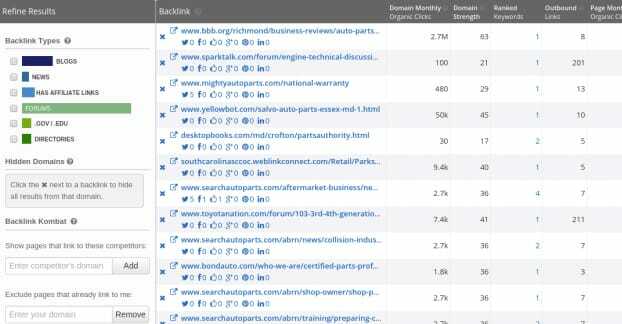 Take your top competitors and plug their blog URL into the Ahrefs site explorer. You’ll want to set it to URL from the drop-down list, use the fresh index, and search it. You’ll be presented with a bunch of data about that URL in your dashboard. Ignore all of it. Or don’t, actually, because there’s a lot of good data, but it’s not data we want to use for this article. Instead, in the left column, you’ll find a category labeled Inbound Links, with a Links link beneath it. Click that and you’ll be taken to a table that displays a bunch of information about backlinks Ahrefs has indexed. This data includes the DR, UR, anchor information, date indexed, and other information about the linking page. Up at the top of the table, under the filter box and next to the settings button, is an Export button. Click this and you will download a CSV file with the data for that site’s links. Copy and paste this into your competitor links tab for that competitor. Repeat this whole process for as many competitors as you choose to analyze. Some of these lists of backlinks are going be extremely long. This is doubly true for any extremely old sites or large sites that have been in operation for a while. So the first thing you want to do is filter out as many duplicates as possible. You don’t really care if five different pages from Entrepreneur are all linking to the competitor; all you need to know is that Entrepreneur is one of the sites linking to them. You can save the higher quality pages individually to check out the specific content later if you want, but it’s not essential. 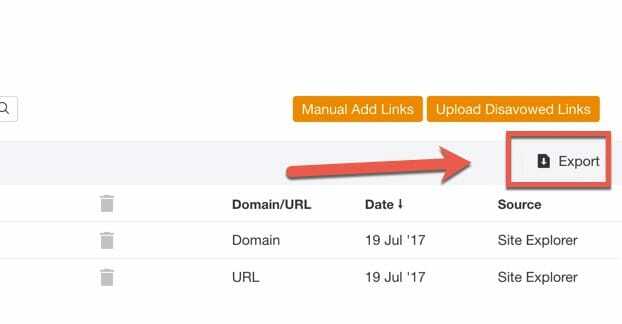 Next, do a quick sort by the domain authority of the pages. Anything that’s under 45 or 50 can be more aggressively scrutinized and deleted. Sure, they might have a lot of links from those kinds of pages, but a good portion of those links aren’t likely to be very valuable to you. You have a lot of competitors and a lot of links to dig through; spend your time on the high quality opportunities, not the chaff. Plus, a lot of those lower quality links will come from PBNs, spam networks, or bad SEO sellers on Fiverr. Those kinds of links are of no value to you. Finally, figure out which the source of the links are. Links can come from a bunch of different locations, some of which aren’t helpful for you to know. Links from affiliated sites. If your competitor owns two sites and cross-links them for mutual value, it’s not something you can take advantage of on your site. Maybe they’ll link to you or accept a guest post, but probably not in a way that benefits your business over theirs. Links from sponsored posts. If the post is flagged as sponsored, chances are the competition actually paid for the link and it’s not necessarily doing them any good as far as SEO is concerned. You can buy a guest post slot too if you want, but I prioritize those a little lower than organic opportunities. Links from blog comments. Most of the time, blog comments aren’t actually going to be valuable links. If the blog uses something like CommentLuv, maybe they’re intentionally giving SEO value to the links, but often they won’t. You can mimic this as well just by making your own comments on the sites, or one-up the competition by working in a guest post when all they have is a comment. Contextual links in content. These are by far the best; when someone writing for the site links to a page organically, the link is generally the highest possible value, particularly if it’s a followed link. These are the kinds of links you want the most. 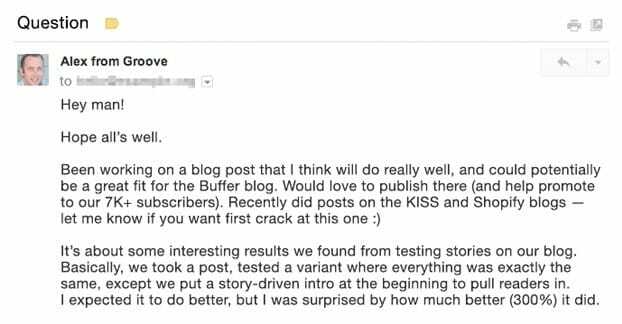 In particular, you’re looking for guest posts where your competitor actually contributed the article in question. 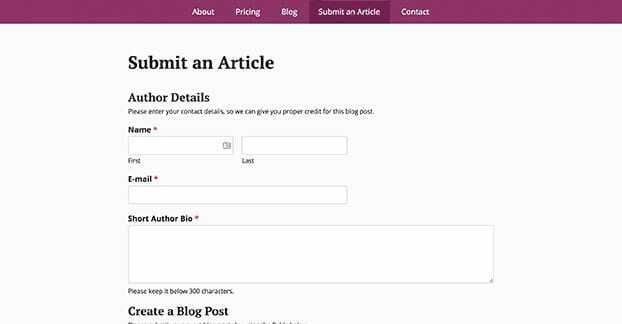 It can be difficult to get a link from a site that doesn’t accept guest post contributions, so while you can keep those pages on your list, the guest posts are really the top-level objective here. Once you have done the above filtering for each of your competitors, you’ll be left with a list of high quality sites that are willing to link out to sites in your niche. Some of them might not accept guest posts, or they might accept them with caveats that you’re not willing to provide. Some of them might also just be sites where someone who works for your competitor used to work, so they have connections you don’t have to leverage. Some might even have undisclosed relationships and won’t work with you for one reason or another. These are all to be expected, and you can just cross off those sites when you find them. Now it’s time to start formulating how and what you want to do when it comes to actually creating guest posts. I recommend spending some time reading the recent blog posts on the target site, both to get a feel for their language and perspective, and to see what kinds of topics they cover. Once you have this feeling for the blog and its audience, you need to figure out where your experiences can come into play. You want to come up with blog post ideas that you can pitch to the owner or editor of the blog in question, something that will work with their audience, leverage your expertise, and play off of content you’ve published before so you have some way to link back to your own site. With pitch ideas in hand, you get to come up with an actual pitch email and send it off to the editors of the site. Some of them might have a contact form you should use, while others have public emails and some keep their contact information hidden. Regardless, figure out the best way to contact them and then send off your pitches. Alright, so there’s a bit more to this step than just, you know, doing it. In fact, it’s a big enough topic that I actually wrote a full-length post for it, which you can read right over here. Writing an excellent pitch for the editor is a crucial step in getting your guest posts accepted. While easier said than done, once you get a pitch accepted, you need to produce content that lives up to the hype. The thing about guest posting is that you’re not just doing this as a one-and-done thing. Every time you get a foot in the door with a new site accepting a piece of your content, it’s the start of a relationship. Eventually, you might be writing five, ten, or more guest posts every month for a rotating stock of sites that accept your content. Repeat business is good business, and that applies both to customers and to guest post targets. Oh, and once you’ve worked your way through your whole list of guest post targets from your list of competitors, you can start the whole process over again with a different set of competitors. You can always keep going and getting published on larger websites. 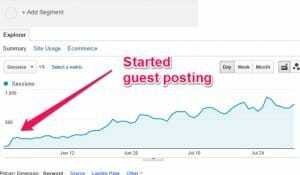 Does Guest Posting Still Work as an SEO Growth Strategy?